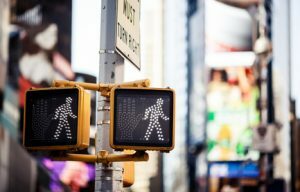 New Jersey Pedestrian Accident Attorneys | Tomes & Hanratty P.C. On the busy streets of New Jersey, pedestrian accidents are bound to happen. Our roads are confusing, congested and populated with dangerous and aggressive drivers navigating roadways that are riddled with hazards and a crumbling infrastructure. These factors are dangerous for drivers and pedestrians alike. New Jersey works to ensure the safety of pedestrians but there are still many reasons why pedestrian accidents occur. Unfortunately, pedestrian accidents have some of the most serious consequences. Many lead to serious injuries, including broken bones, spinal cord injury, and more. In the worst case scenario, pedestrian accidents end in death. If you have been involved in a pedestrian accident or lost a loved one because of an accident, you need to contact an experienced personal injury law firm. If you need quality legal support, contact Tomes & Hanratty, P.C. for an initial consultation. Distracted driving and negligent actions: New Jersey tries its best to combat the effects of distracted driving. As cell phones become more powerful and people more attached, distracted driving is becoming a serious issue on the roads of New Jersey. The National Highway Traffic Safety Administration states that distracted driving can be 6 times more dangerous than drunk driving. As people take their eyes off the road to text, email, get directions and even surf the web, pedestrians and other drivers are at risk of injury. In addition, driving under the influence and reckless driving can add to the number of pedestrian accidents. Road conditions: Road conditions are a lead culprit in pedestrian accidents. When people need to maneuver around potholes, uneven surfaces, debris and spills, and through weather conditions, it may be difficult to see pedestrians. Depending on the location and circumstances, your injuries may not be the fault of the driver. You may need to take action against a municipal, commercial, or private landowner. Visibility: Aside from weather conditions, there are various other hazards that obscure a driver’s visibility, including parked vehicles, signage, vegetation, and a lack of lighting. Similar to road conditions, your injuries may be caused by the negligence of a municipality, commercial or private property owner. If you have been seriously injured in a pedestrian accident or lost a loved one in a pedestrian collision, you need to consider your legal options. In many cases, the negligence of another driver or the municipality where the accident occurred caused your injury. If you can prove the negligence of another party, you may be able to recover damages related to medical bills, lost wages, legal services, and more. If you need our legal support, contact Tomes & Hanratty, P.C. for a consultation.